The Alumni Association of Texas A&M University-Commerce honored Zenetta Drew as a Distinguished Alumna at their annual Alumni Awards Gala on Saturday, April 23, 2016. 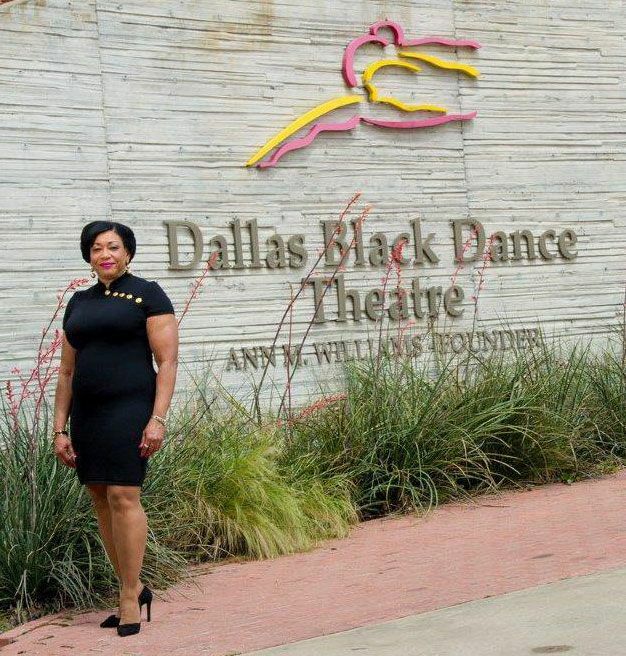 Drew has been the Executive Director of the Dallas Black Dance Theatre for 29 years. More than 200 guests honored Drew and the other award winners, E.C. Larkin, Dr. Jack Lassiter, John Norman, and Steve Thurman, at the Alumni Awards Gala. “This event gives us the opportunity to showcase the caliber of alumni we have in the world that are representing our university,” said Derryle Peace, Director of Alumni Relations. Drew was the first African-American female to receive the Alumni Award in the school’s 127 year history. Texas A&M University-Commerce was one of the last universities in Texas that allowed Blacks to enroll following the enactment of the Civil Rights Act of 1964. When Zenetta Drew attended the school, formerly East Texas State University, her dorm was segregated. “I will be forever grateful to Dr. Kenneth McCord who suggested that I major in accounting, when I had never heard of accounting,” said Ms. Drew. “Little did I know that I would be in the first class of three African-American students to receive an accounting degree from this university, at a time when there were fewer than 50 Black CPAs in America.” Zenetta Drew was the commencement speaker for Texas A&M University-Commerce’s graduation ceremonies in August 2014. Drew worked at ARCO Oil and Gas Company in accounting and management for 12 years before joining Dallas Black Dance Theatre (DBDT) in 1987. When she started managing DBDT, the annual operating budget was $175,000. It has now grown to over $3.9 million with a staff that has increased from two to 33. The company’s yearly performances and outreach activities have grown from 30 to over 600 services spanning the United States and international venues, and the audience growth has increased from 20,000 to 150,000 annually. Having performed at two Olympics, DBDT’s outreach is now on a global scale. To date, the dance company has toured in five continents, 15 countries, and 31 states. Drew currently serves on multiple boards including the Board of Governors for TACA (The Arts Community Alliance), the Advisory Board of the National Center for Arts Research at Southern Methodist University, the College of Business Advisory Council for Texas A&M University-Commerce, Downtown Dallas, and DataArts (formerly the Cultural Data Project). She also serves as Treasurer for both the Dallas Arts District and the City of Dallas’ Dallas Development Fund, and is a member of the Women Presidents’ Organization. Nationally, Ms. Drew has served on advisory panels for the National Endowment for the Arts and President Bill Clinton’s Americans for the Arts Strategic Planning Committee. Ms. Drew has also guest lectured on arts fundraising at Southern Methodist University, arts administration at Syracuse University and LeMoyne College, accounting ethics at Texas A&M University-Commerce and has been a speaker at Leadership Dallas, Leadership Texas, Leadership America and the Business Council for the Arts for multiple years.